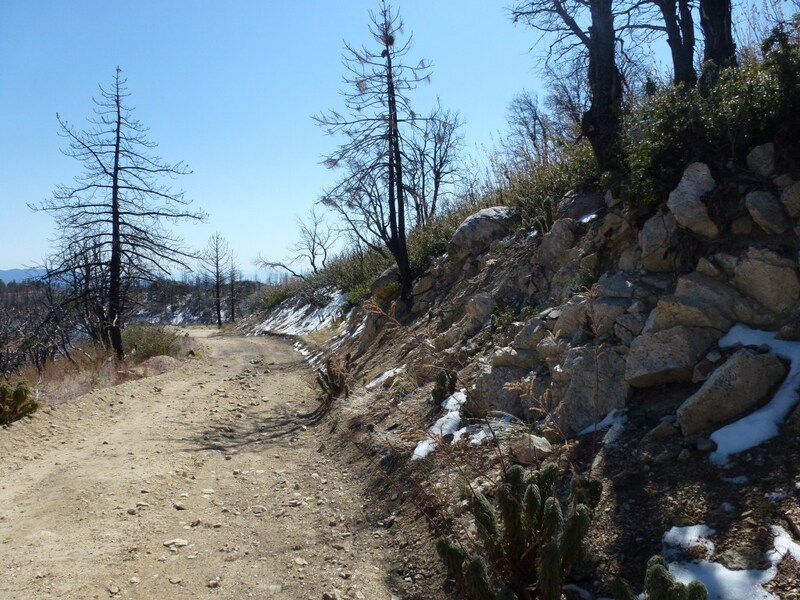 View at Junction with Silver Moccasin Trail looking in the direction to go down to Angeles Crest Trailhead. There will be one more fork in the road (I forgot to photograph), take that one up to the left to Vetter Mountain. There is a trail marker at this point and the road is no longer paved. 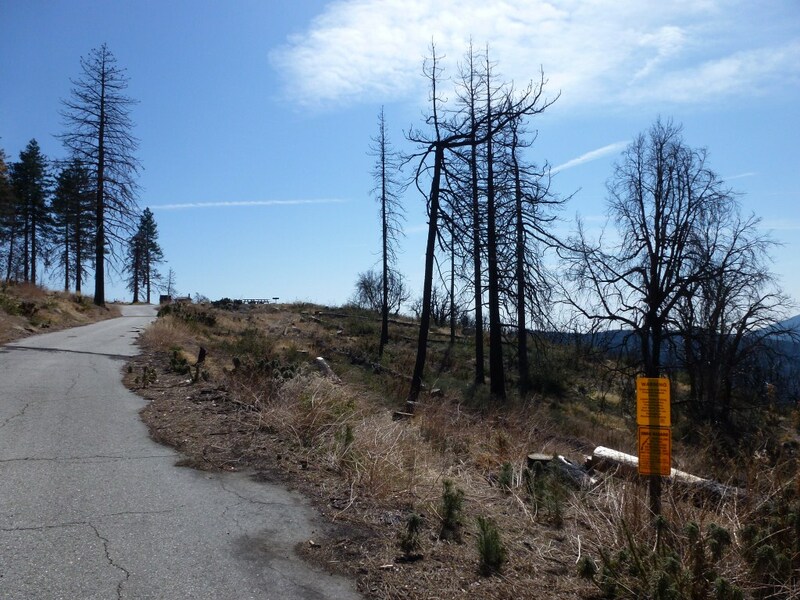 FYI: Vetter Mountain Fire Lookout is being rebuilt! 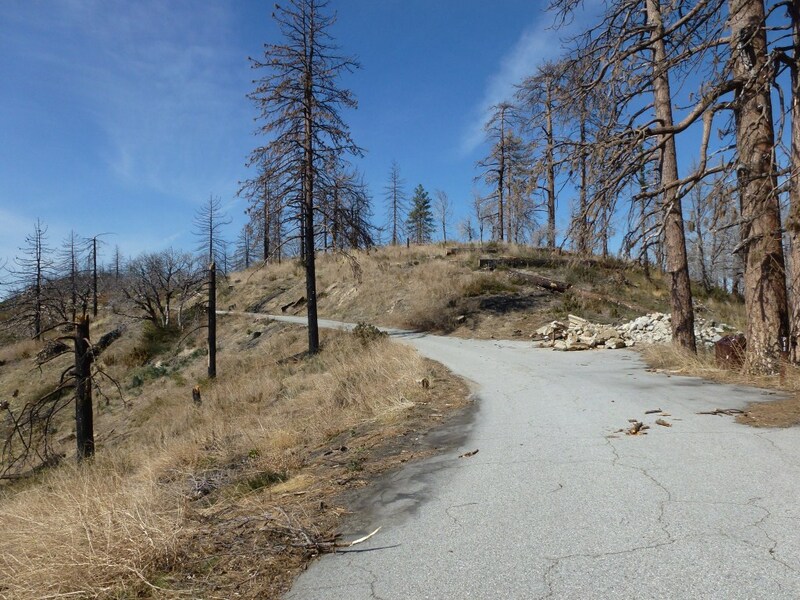 Five years after the Station Fire destroyed the historic 1935 lookout, volunteers from the Angeles National Forest Fire Lookout Association began pouring a new concrete pad in the original stone foundation on July 12, 2014. The new structure will be built to the original plans to give it a truly historic look. 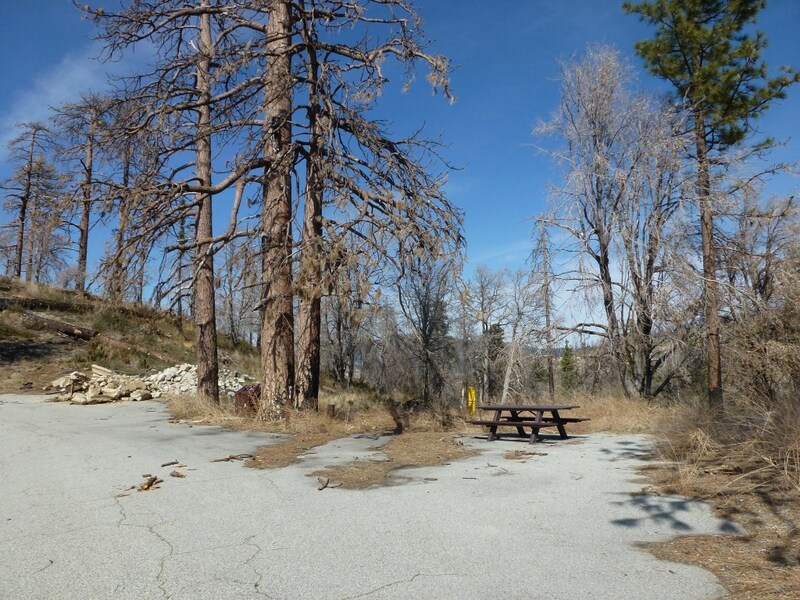 Hopefully, by the end of this fire season, we will have a newly rebuilt fire lookout for our volunteers to use . . . and for hikers to visit! That is great news. I look forward to seeing it built! Please keep me posted, thanks!